Welcome to The Cow Palace Inn Virtual Tour! 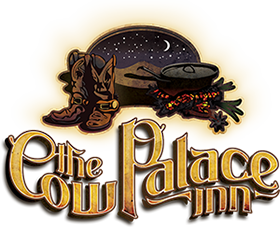 We’re happy to have you on our website and invite you to take a tour of our fine establishment.The Cow Palace Inn was one of the first hotels and convention centers constructed in Lamar, Colorado and has been a historic landmark ever since. Recently acquired by new management, we’ve been working hard to remodel, renovate and repair this historic hotel to return it to its’ former glory.